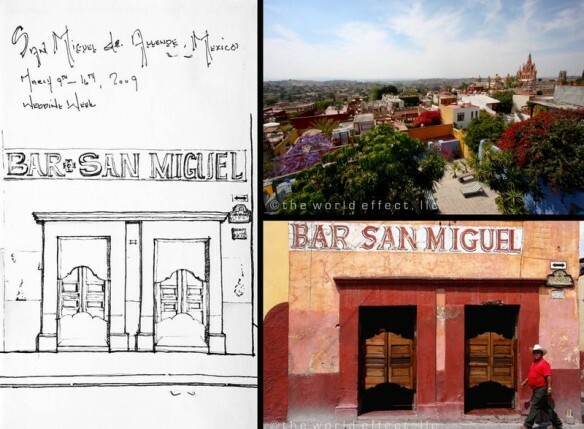 While getting ready for all our wedding guest to arrive in San Miguel de Allende, I some how found time to sketch this awesome bar. Beau and I always talked about going in there to have a beer but for some reason we never made it. It looks so autentico, right? I guess it should plan a head and have the perfect cowgirl outfit for the occasion. There will be a next time!